Summarising is the second effective interpersonal communication skill which forms part of the cyclical process of Listening - Summarising - Questioning that promotes Effective Communication and Effective Conflict Resolution. 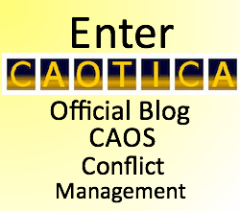 Alan Sharland's blog is CAOTICA - the official blog of CAOS Conflict Management where he works -click the banner to visit CAOTICA and read posts on mediation, conflict coaching and conflict management and communication skills. 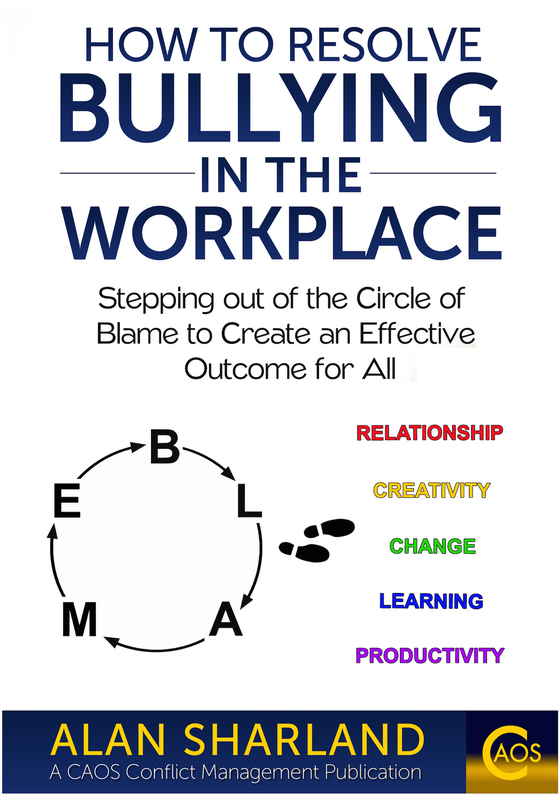 Purchase this e-booklet of the webpages describing all 3 skills with some additional comments and clarifications for just $3! via the Buy Now button below. 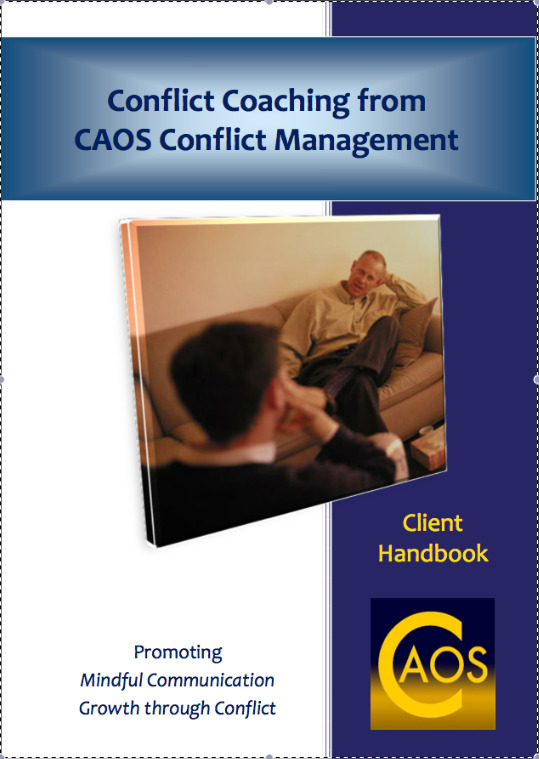 Purchase and download it now for easy reference or Click Here to find out more. In the first,the speaker has to either 'go with' the feeling they have been ascribed by the 'listener', or, has to spend time challenging it, adding an extra burden to the act of communicating. In the second case the listener goes away without ever knowing that their interpretation of the person's emotion is wrong. The extent to which we believe we know what someone wants, why they are doing what they are doing, how they feel and what they are thinking, instead of believing we need to explore this with them, is a reflection of the extent to which we are not listening to them. We are speaking for them. We can simply ask: "So how do you feel about this?" and trust that whatever answer they give is genuinely how they feel? Even if it's to say "I'm not sure"
Summarising is not a 'high pressure' activity for the listener as the summary is not going to be 'perfect' the first time it is given and it does not need to be. One of the listener's uses for summarising is to be able to acknowledge that their listening is not perfect (we do make mistakes and it is ok to do so) and that they care enough about the quality of their listening that they want to improve it through use of a summary. Giving opinions about what was said inhibits effective communication as it is no longer a summary, but a commentary, and doesn't, therefore, serve the same purpose. For the speaker, a major benefit of an effective summary is that it gives them a chance to 'hear themselves'. It allows them to review their thoughts and feelings from a more detached position, enabling them to gain more of an overview of what they have said. Communication and Conflict featured book: A book which reveals the power, the beauty and the reverence for others that exists within the simple act of listening. If you want to understand what is meant by mindful communication - read this! I was once working late in the office at the first job I did in Mediation, when I was Case Worker for Camden Mediation Service in Central London. An elderly gentleman called up, quite upset that he was being disturbed by noise from his upstairs neighbours but no agency that he had approached had done anything about it. He talked at length for about 30-35 minutes, and throughout the call I said 'Yes', 'OK', or did a brief summary of what he'd just said, but no more. When he felt he'd got to the end of all that he had to say about the situation, he said to me: 'Thank you, you're the first person I've been to about this that knows what they are talking about!'. I explained to him that I'd simply said back to him what he'd told me, to try to help him think through what to do about the situation. He decided in the end that he'd probably just have to put up with the noise but felt more frustrated by his efforts to get something done about it than the situation itself. The suggestions and advice he received from the agencies he'd approached implied to him they simply hadn't listened nor had the inclination to help. This is unfortunate as their intention was probably to try to help but their response of 'coming up with an answer' rather than simply assisting him in understanding his own response, through summarising, had the opposite effect, in his experience. In order to take the level of our communication even deeper we can draw upon the next skill used to promote effective communication and conflict resolution..... Questioning.